Men with localized prostate cancer have various treatment options available in their management. However, the optimal approach is controversial and can be influenced by multiple factors. 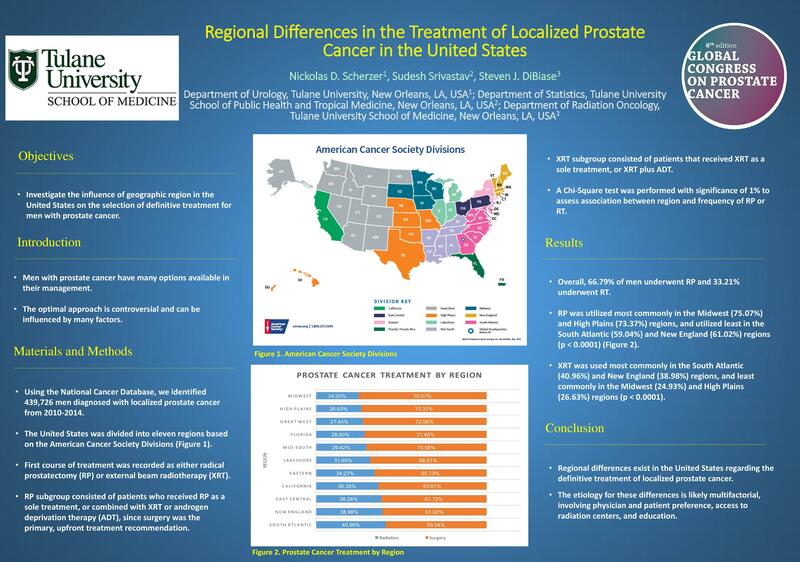 We sought this study to investigate the influence of geographic region in the United States on the selection of definitive treatment for men with prostate cancer. Using the National Cancer Database, we identified men who were diagnosed with localized prostate cancer from 2010-2014. 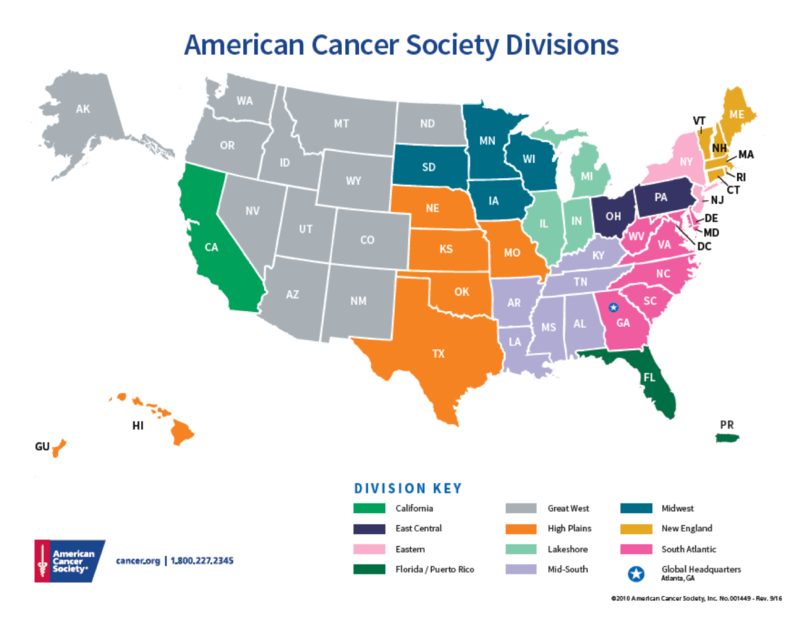 The United States was divided into eleven regions based upon the American Cancer Society Divisions. The first course of treatment was recorded as either external-beam radiotherapy (RT) or radical prostatectomy (RP). The RT subgroup consisted of patients receiving RT only, or RT plus androgen deprivation therapy (ADT). The RP subgroup consisted of patients receiving either RP as a sole treatment or combined with RT or ADT, since surgery was the primary, upfront treatment recommendation. A Chi-Square test was performed with significance level of 1% to assess the association between region and frequency of RT and RP. This study included 439,726 men with localized prostate cancer, of whom 66.79% underwent RP and 33.21% underwent RT. When comparing regional differences in RP versus RT, significant differences occurred (Chi-Square; p=<0.0001). RP was utilized most commonly in the Midwest (75.07%) and High Plains (73.37%) regions, whereas RP was least utilized in the South Atlantic (59.04%) and New England (61.02%) regions (Figure 1). Similarly, RT utilization varied based on region (p=<0.0001), used most commonly in South Atlantic (40.96%) and New England (38.98%) regions, and least commonly in the Midwest (24.93%) and High Plains (26.63%) regions. 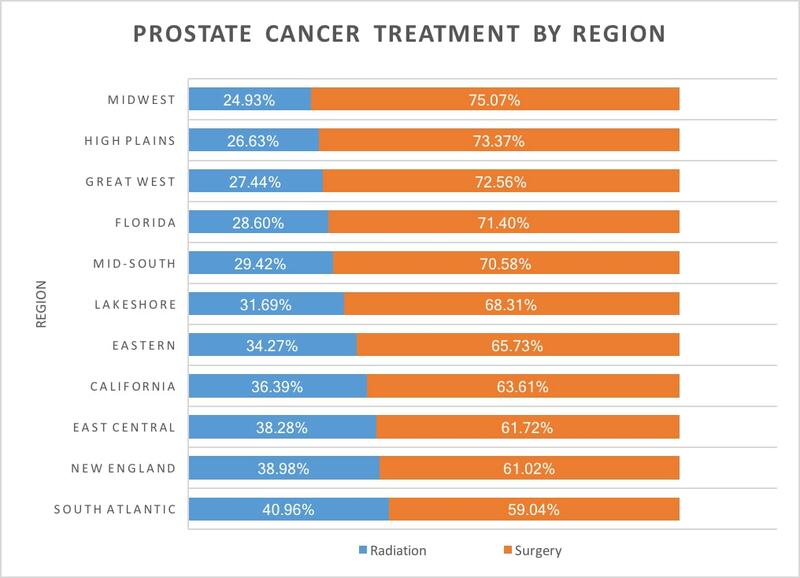 Regional differences exist in the U.S. regarding the definitive treatment of localized prostate cancer. The etiology for these regional differences is likely multifactorial, involving physician and patient preference, access to radiation centers, and education. Additional research is required to further elucidate this relationship.